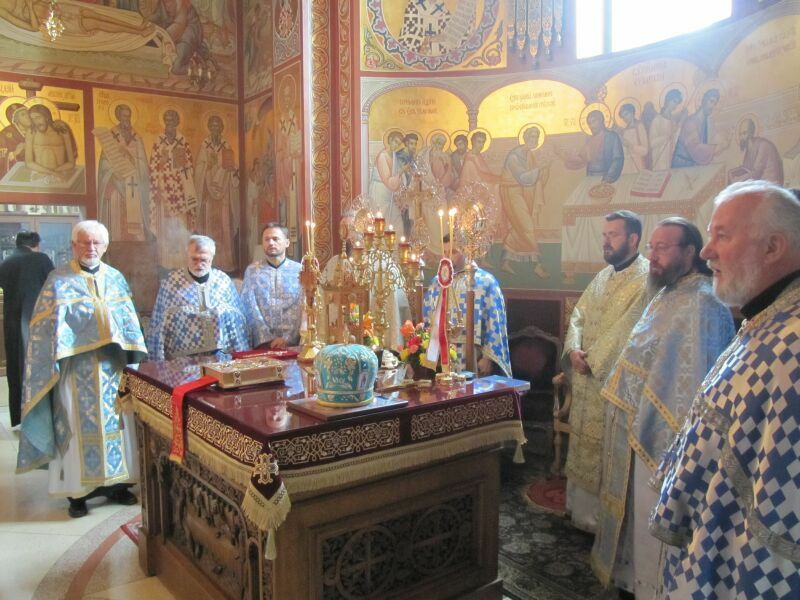 Grayslake, IL - The feast day of the Protection of the Mother of God – Slava of the New Gracanica Monastery, was celebrated yesterday. 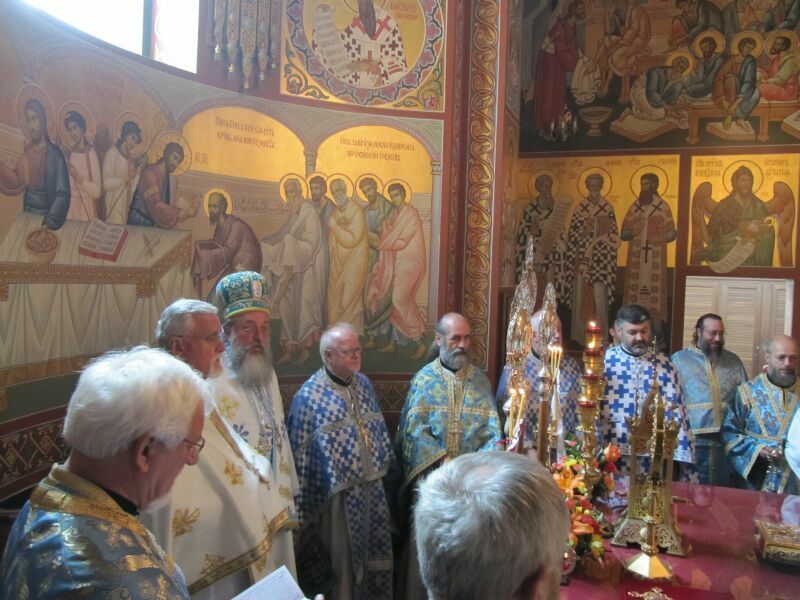 Vigil was served on the eve of the feast and Divine Liturgy on the day of the feast. 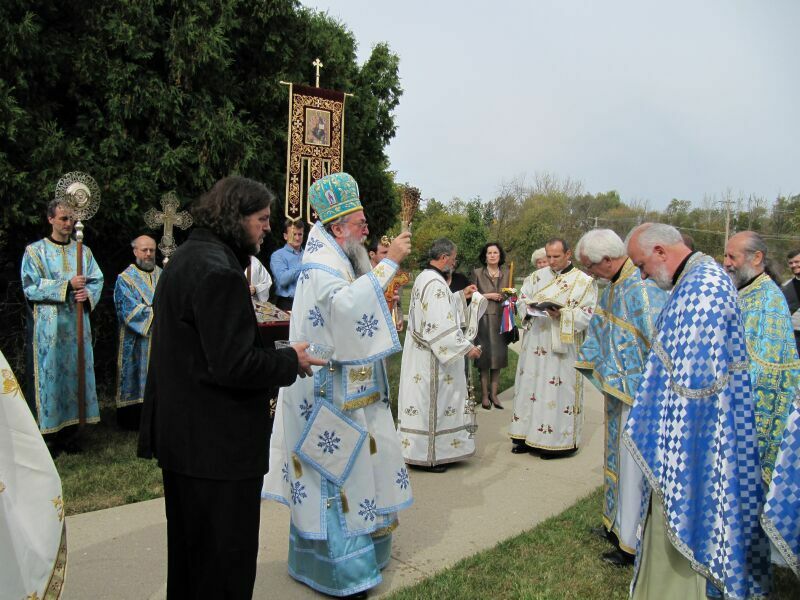 Along with Bishop Longin of New Gracanica – Midwestern America, Divne Liturgy was served by 13 priests and 4 deacons. 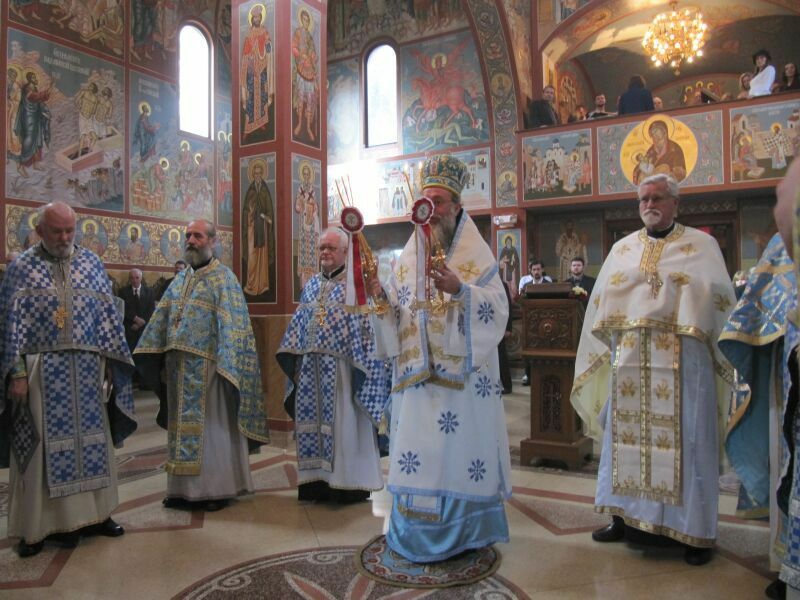 All the Serbian clergy from wider Chicago area was present in the church as well as a large number of the faithful. 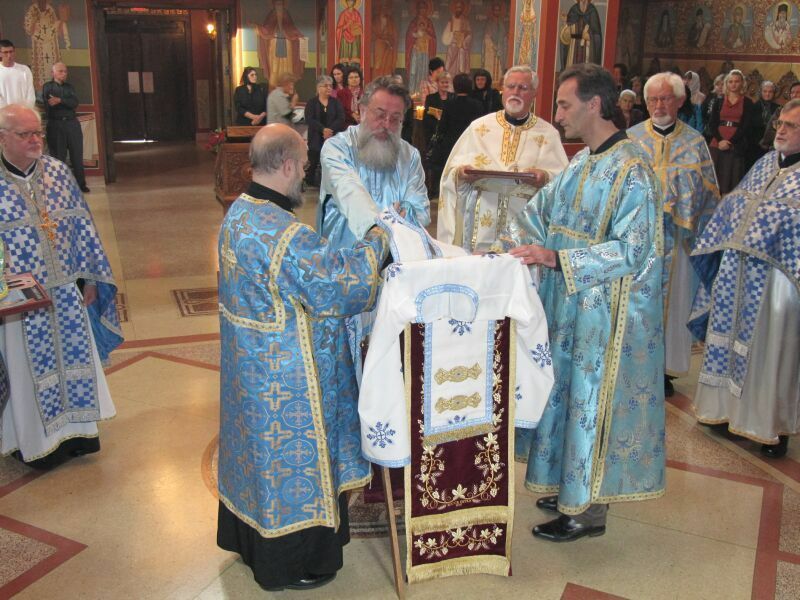 At the beginning of Divine Liturgy, reader Paul Grosnick was made a subdeacon. 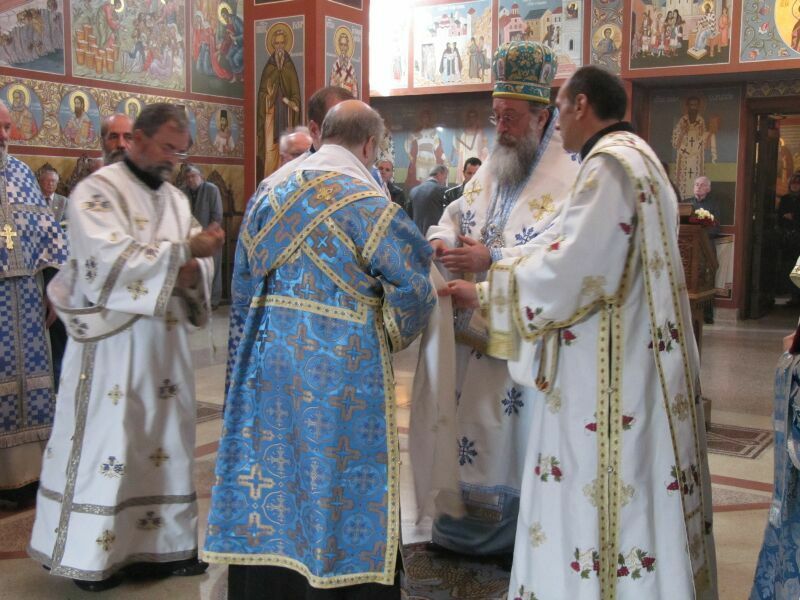 Liturgy was followed by procession around the church and cutting of Slava bread. 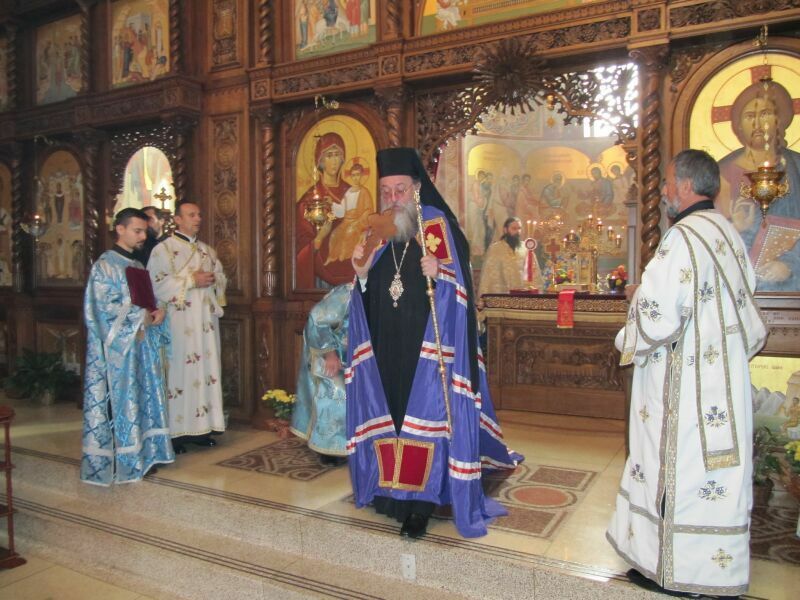 After the dismissal, Bishop Longin gave a nice sermon on the history and meaning of the feast of the Protection. 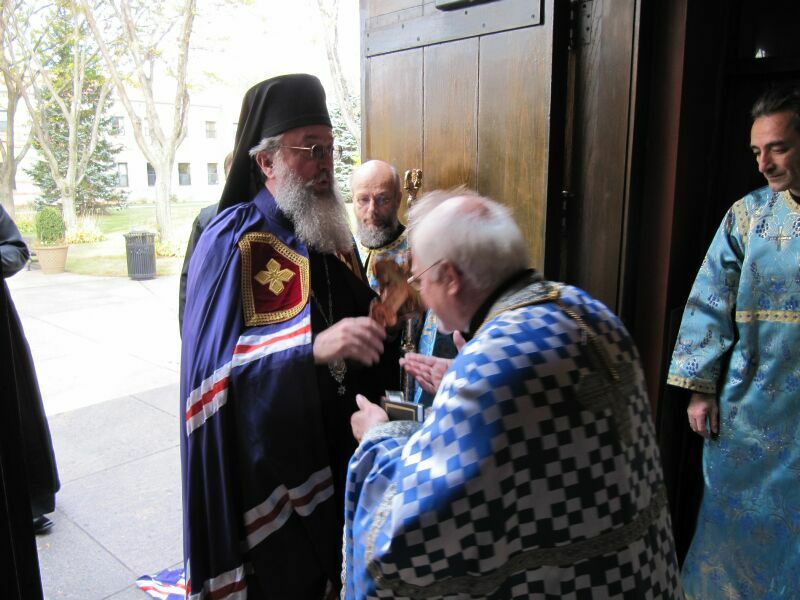 During the festive lunch at the hall where some 300 people had gathered, Bishop Longin presented Mr. Vlado Belopetrovic with a Medal of Saint Sava (Orden Svetog Save – the highest recognition in the Serbian Orthodox Church) for his work and efforts during the building of the New Gracanica Monastery 26 years ago and all his work until today.